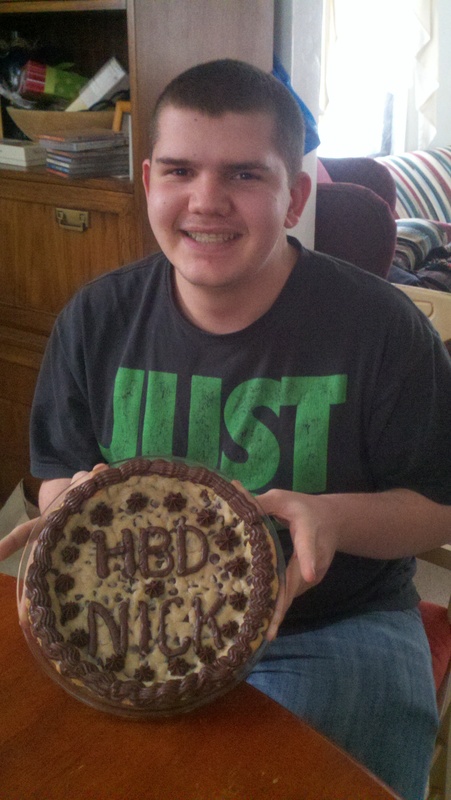 At this time 18 years ago, I was at the hospital hooked up to Pitocin awaiting the arrival of my first bundle of joy. This weekend is similar to the weekend so many years ago — it’s cold, blustery, and snowing! We’ve weathered a lot of changes over the years. While our “family” is not what I envisioned so many years ago, we have adjusted and compromised along the way. As a Mom, I’ve survived his transition through elementary school, middle school, and now high school. I’ve watched him grow from a quiet and shy child to one who is slowly emerging from his shell and deciding what he wants for his future. With only a little over four months to go of high school, he knows he wants to continue his education, which is a relief to both of his parents. While his father and I have been fairly permissive parents, I am thankful that we made it through the teen years without any alcohol, drug, or defiance problems (which I think is outstanding for a split family). That’s not to say we haven’t butted heads along the way, but at the end of the day, I have been blessed with a very handsome, very polite young man. So Happy 18th Birthday, Vampire Boy! Posted on February 3, 2013, in Family, Kids. Bookmark the permalink. Leave a comment.